Finally, after 16 months of living hell, someone in Maryland is at least telling people they have some options. Was there a professional duty, job capacity of the FEMA agents to inform us as to what was available to us regarding flood policy coverage and the same for personal property? It was an ongoing difficult process to recover or cope with all the problems related to the conditions someone knew what the dangers were of contamination, toxic spills and exposures to them, we weren’t offered a trailer, we liver with headaches, burning throats and eyes. We were told wind damage was all going to be denied and called flood damage. The MIA was a useless waste of time energy and trust. 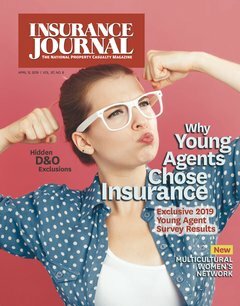 How do the agents have so much say over what they decide they aren’t going to cover and so little responsibility to inform and verify to the policy holders all that is inclusive not just exclusive in their policies! ?